There is no person in the world that won’t mind auto lockouts. But if you are ever in need of a speedy yet dependable car lockout Brampton service in Ontario, dialing our phone number will give you an immediate solution to your problem. Vigilant and experienced, our company takes quick care of such troubles. Have no doubt that we are fully aware of the seriousness of the problem as well as the difficulty of addressing a car lockout effectively. But rest your mind with the knowledge that our company dispatches expert auto locksmiths only and well-equipped to tackle any issue. Is the car key locked in the trunk? It can happen. But don’t worry. 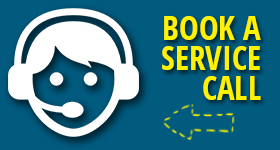 Just call us. The pros have the tools to open locked car trunks. A locksmith will come out in mere minutes to unlock the trunk and give you back your key. Is the key locked inside the automobile? You still shouldn’t worry. There is no car door or trunk the locksmiths cannot open. 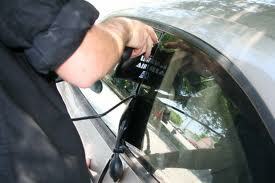 They always arrive to your location fully equipped and thus prepared to provide the necessary car opening service. Unlocking the car to get the key is one thing. Dealing with a broken or missing transponder key is another story. But you can always count on the Brampton Locksmith Experts. The solution is still our company since we send you a locksmith with the equipment and expertise to offer any service required to get you back into your car but also ensure the security of the vehicle. With the equipment to make new car keys, program transponder keys, extract the broken ignition key, and do any repair needed, they can solve the problem and thus address the lockout. And remember. You can call us for a 24 hour car lockout service in Brampton and be sure that a locksmith will only take minutes to get there whether it’s day or night. So, never worry about these mishaps, which no doubt are terrible and often frightening but have their solution when they are trusted to us. How can you make such problems go away fast without paying a fortune? It’s simple. Save our number and speed dial us the moment you are in a car lockout in Brampton. A locksmith will come right out.